Where will you be, who will you be with and who will you save when “San Andreas” arrives onto Blu-ray 3D Combo Pack, Blu-ray Combo Pack, DVD and Digital HD. 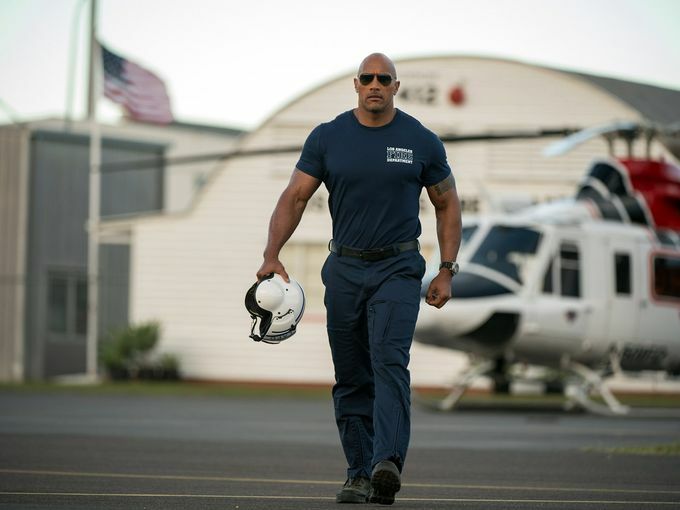 “San Andreas” follows a rescue helicopter pilot (Dwayne Johnson) and his estranged wife (Carla Gugino,“Night at the Museum,” TV’s “Entourage”) as they make their way to San Francisco to save their only daughter. The film will be available early on Digital HD on September 22. “San Andreas” reunites Dwayne Johnson with director Brad Peyton and producer Beau Flynn, following their collaboration on the global hit “Journey 2: The Mysterious Island.” The film also stars Alexandra Daddario (“Percy Jackson: Sea of Monsters,” TV’s “True Detective”), Ioan Gruffudd (“Fantastic Four: Rise of the Silver Surfer”), Archie Panjabi (TV’s “The Good Wife”), Hugo Johnstone-Burt (Australian TV’s “Home and Away”), Art Parkinson (TV’s “Game of Thrones”) and Oscar nominee Paul Giamatti (“Cinderella Man”).